Deezer review | What Hi-Fi? An extensive catalogue, and the foundations of a very decent streaming service. Last year, Deezer became the first music streaming service to celebrate its 10th birthday. As with any significant coming of age, the French company celebrated by making 2017 a year of big change. The company rebranded its CD-quality tier, giving it a new name and price, and making it accessible to people without Sonos kit. It also hinted at a future move into hi-res by partnering with MQA, the technology behind Tidal’s hi-res streams. At the time we first reviewed this service in 2015, Deezer was rubbing shoulders with its green giant rival Spotify, but now looks more interested in stepping on the toes of CD-quality and hi-res streaming services like Tidal and Qobuz. Whether there’s a big enough market of people willing to part with £20 a month to sustain these three, superficially quite similar, music streaming services is debatable, but Deezer is no doubt looking to some of its 12 million active subscribers (nine million of them paying customers) to make the jump. 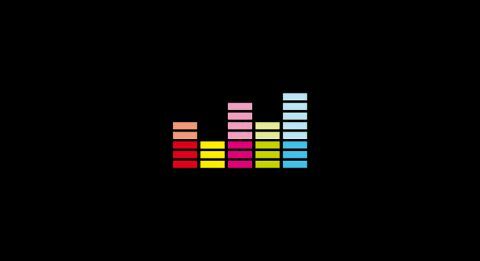 Deezer Elite was previously the service’s top (£15 per month) tier, offering Sonos users 16bit/44.1kHz FLAC streaming - but its replacement, Deezer HiFi, has expanded its user base and promises much more widespread appeal. In fact, anyone with a laptop or computer can now benefit. 16bit FLAC streaming is now accessible on its desktop Windows and Mac apps (which are currently in beta), as well as on Sonos kit, Yamaha MusicCast devices, Bang & Olufsen speakers and the MOON by Simaudio network audio system. It is a shame the HiFi tier support doesn’t extend to mobile apps as Tidal’s does, but it’s a big step up from the previous Sonos exclusivity. Because of that, it’s not surprising the new monthly cost has gone up to £20 per month - in line with Tidal and Qobuz. Below Deezer HiFi there are three, more affordable, tiers. Premium+ (£10 per month) shares features with HiFi: no ads, unlimited streaming and control on mobile apps, and offline access – but limits sound quality to 320kbps. Deezer Family (£15 per month) gets you everything on Premium+ for up to six profiles. There’s also a free, ad-supported tier with 128kbps streaming and limited mobile app use. The platform you use could influence which tier you sign up for. If you’re a heavy smartphone streamer or mostly connect directly from your TV or in-car system, Deezer HiFi won’t be for you ­– not at the moment, anyway. HiFi tier accessibility aside, though, Deezer has an almost ubiquitous presence in the hi-fi, lifestyle and AV markets. Subscribers to its Premium+, Family or free tiers can have streaming at their fingertips via their smartphone, tablet or laptop, as well as Roku, Google Chromecast and Amazon Fire TV media streamers. A Deezer TV app is also present on smart sets from Samsung, Sony, Panasonic, LG, Philips and B&O. A wide range of wi-fi speakers (including smart devices) and systems – including Sonos, Google Home and Yamaha MusicCast devices – offer support, and also on that list is Android Auto, CarPlay and Parrot in-car systems, as well as the Apple Watch and Android Wear gadgets. Regardless of the device they use, subscribers have access to the service’s catalogue, which Deezer claims features over 43 million songs – 36 million of which are available in CD-quality FLAC format. It’s an impressive count by any standard, and also broadly in line with its rivals. Tidal claims 48 million, while Qobuz and Apple Music have 40 million, and Spotify 30 million. We find Deezer stocks pretty much every track of the diverse range we search for, and all in CD quality too. Just be aware that, unlike Apple Music and Tidal, Deezer doesn’t have artist or album window ‘exclusives’ -it has long since dismissed them as a way of growing its business. As HiFi subscribers, we mostly use the desktop and Android mobile apps, and the ability to flick from one to the other is made easy by the fact each platform offers a similar interface. Our previous review highlighted some issues with Deezer’s mobile apps, but they have since been brought right up to date where interface and usability are concerned. One niggle remains, though: it doesn’t allow us to skip tracks during playback via a Chromecast device. Deezer’s appearance is perhaps best described as a stripped-down version of Tidal or Qobuz. The interface is clean and pleasingly image-heavy, with plenty of space around content. That may be preferable for those heading straight for the search function, but anyone looking to discover new music may actually prefer the dense, in-your-face options and presentation of rival services. The interface’s friendly, speedy and intuitive usability is helpful too. Music streaming services are generally quite similar uniform in layout, with a bottom playback bar and a few left-hand side tabs bordering the centralised chunk of content - and Deezer doesn’t stray too far from this template. The home tab presents users with the opportunity to browse music by charts, new releases, popularity, various moods or mixes. Below that is a choice of playlist picks (including those within genres you most listen to), live radio, podcasts and videos. ‘My music’ is a self-explanatory gateway to your playlists and ‘favourite’ tracks, albums and podcasts, while ‘hear this’ opens doors to recommended content. Here you will find ‘Deezer Picks’, which recommends albums, playlists and tracks using algorithms and your listening activity to gain an understanding of your music tastes. We play the What Hi-Fi? February playlist, and are pleased to hear Deezer HiFi (CD-quality) streams are clear, full-bodied and, perhaps most importantly, an upgrade from the ‘better’ (320kbps) quality streams. It’s worth noting sound quality can be changed between ‘Standard’ (128kbps), ‘Better’ (320kbps) and ‘HiFi’ (1411kbps) in the playback bar. The HiFi streams cling more committedly to the textures of the ‘80s-style synths pulsating through GUNSHIP’s Tech Noir, and those of the horns and affected vocals that make up Hypnotic Brass Ensemble’s Now. However, we find Tidal’s CD-quality streams a little crisper, cleaner and more precise. There’s more fuel driving Tiny Giant’s Draw Me a Line, and greater space around the instrumental and vocal accompaniment. Timing of the drums beats and underlying cymbal rhythm is noticeably more accurate, too, with Tidal’s Donald Fagen’s I.G.Y. springing into life with a touch more bite. However, listening through Grado SR325e headphones plugged straight into a MacBook Air, the differences are subtle. And it’s only when we up the transparency of our set-up with a Chord Hugo 2 DAC and Beyerdynamic T1 headphones ­that these discrepancies become more significant. While we prefer Tidal’s comprehensive layout and slightly superior sound quality, the main chink in Deezer’s armour is its current lack of hi-res audio. After all, subscribers to Tidal’s price-matching HiFi tier get free access to 30,000 (typically 24bit/96kHz) hi-res Masters in addition to CD-quality streaming. Deezer may well have hi-res in its sights – as suggested by its recent partnership with MQA – but until it comes as part of a competitive package it doesn’t shine brightly enough to be the leading light in music streaming. Thankfully, though, its extensive catalogue, vast device support and pull from some decent non-music content lays the foundations for a service that, one day, could be the best.